Emerald: World Bank Presidency: US in battle of supremacy holds sway! World Bank Presidency: US in battle of supremacy holds sway! 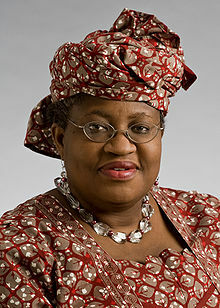 The World Bank has announced the United States annoited candidate Jim Yong Kim as its new President defeating Nigeria's Finance Minister, Dr. Ngozi Okonjo-Iweala, who was its former Managing Director. The United States has always held the Presidency of the World Bank and once again its gone to them.